Buying can be a very impulsive act for many, which means it’s rather based on emotions and being overall positive and irresponsible, without really thinking through your financial situation. Many people obtain credits of all sorts because they really want to buy a car or a property and they feel that they can afford it given their present situation. Luckily, a growing number of credit institutes these days would also want their clients to avoid repossession and would allow higher sum credits or mortgages only , when the debtor can cover over 40%-50% of the total price. In case your country has no such rule, it’s still something to go for. Situation can change. If you lose your job and you have no safety deposits then you can easily get into a situation when you are unable to pay as you should be. Therefore, your first step should be always to sleep on any sort of a credit or mortgage and think about all the possible ways to avoid it. There are tons of banks and credit institutes offering mortgages and all sorts of other credits with different conditions. You need to learn about the types of mortgages, the types of interests which you will need to pay back and then decide which one you go for. Remember, getting a credit of any type should never be an impulsive act. Many couples tend to opt for credits and mortgages together and they are sure, that they can cover the costs, without any problems. But, times are changing. Couples don’t necessarily stay together, or they may have a child in the meantime which would also eat up much of their income. When it comes to the total sum and the monthly payback, you must think of a sum you can definitely pay each month, even in the worst case scenario. Always opt for a payback plan which can be changed or enlarged if it’s possible. For instance you get a mortgage with a 5 year payback plan, then you freely enlarge the period into being 10 years instead of the 5. This would mean you would need to count with less money to pay back on a monthly basis. Insurance may mean you need to pay more, but it’s also an additional mean of protection for you. Credit or mortgage insurance can save you for a good couple of months, when you are unable to pay back due to loss of income or due to illness of all sorts. So, it’s essential to get an insurance. 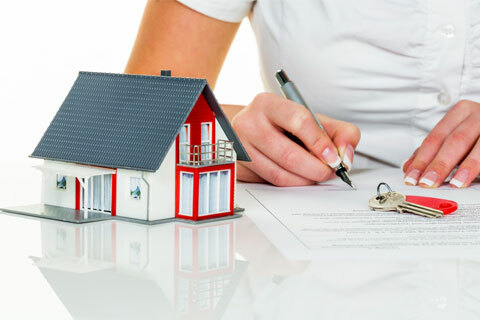 We hope these 5 tips help you in finding the best solution for buying your new property, without ever having to face the risk of repossession.